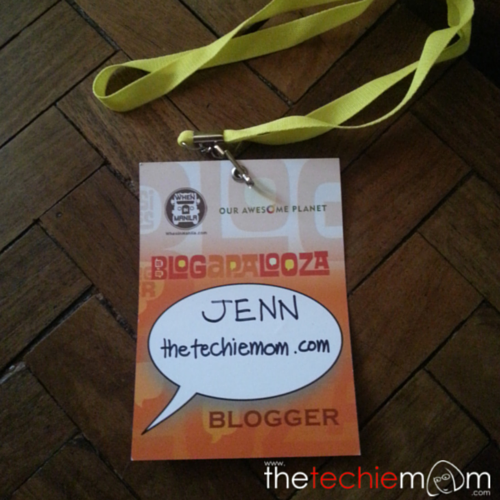 I attended my very first Blogapalooza event yesterday at the SMX Aura, I had fun checking out different brands’ booths and talking to them to get to know what makes their brands special, but the most fun I had was to have met some of the bloggers that I’ve been interacting with online and having spent time with them. My business partner, Marge Aberasturi (The Happy WAHM) and I met along C5 and had a breakfast date before we went straight to SM Aura, got lost a bit (just a bit haha) but was at the venue 15 minutes after they officially opened the door. 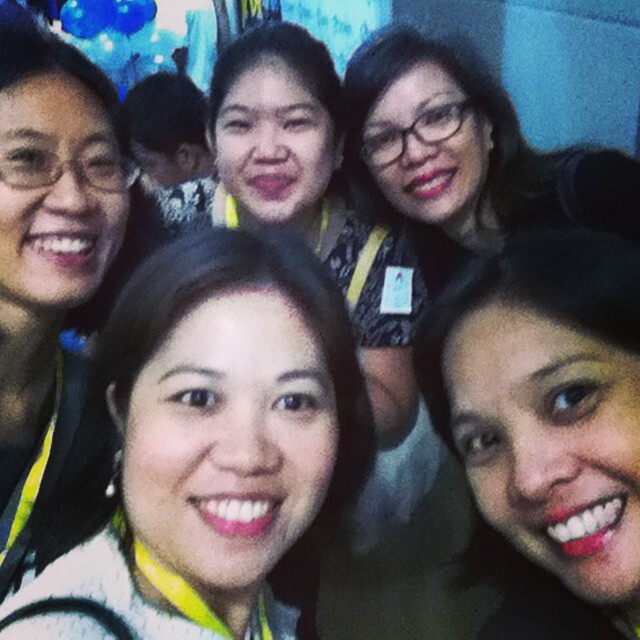 We were met by fellow mommy bloggers (and friends), Millie Manahan (Not Your Ordinary Mum), Donna Donor (Homeschooler Kib), Rikx Redrico (Rikx Knows Best). Then later met up with Janice Lim (The Roller Coaster Ride) and May Palacpac (Fully Housewifed). 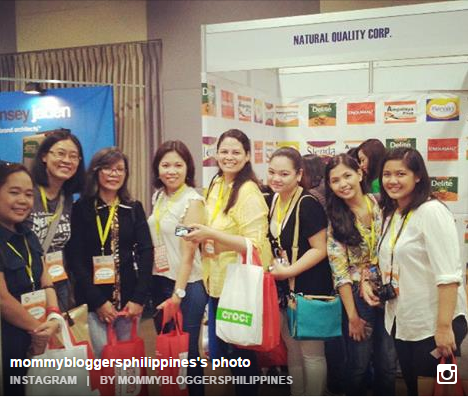 I finally got the chance to meet some of the other mommy bloggers I haven’t met yet in person like Lani Lyutz, founder of Mommy Bloggers Philippines and the other MBPs! The booths were evenly spaced out, the hallways are enough for 2 to 3 people so it wasn’t really cramped as it was supposedly was during last year’s event (wasn’t there so I can’t compare). There was a stage set up in the middle of the venue and the band Climax was the one who did the entertaining when we were there, channeling a Bruno Mars vibe haha. 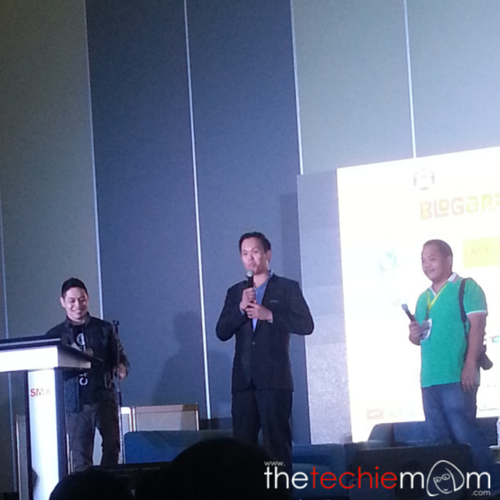 Vince Golangco of When In Manila, Anton Diaz of Our Awesome Planet and Francis Simisim of Tech Filipino officially welcomed 700 bloggers and their plus 1’s to the SMX center, giving tips to both businesses and bloggers on how to maximize the event for both parties’ benefit. Both the bloggers and the business owners/representatives should be able to communicate, not just give out loot bags, freebies and PR media kits. Having a connection with each and every brand and bloggers is a must in these kinds of events, it might sound like a lot of work, but it is the only way to go, in my opinion. Obviously, since I am more of a “tech” blogger than anything else, I zoomed in on brands that I think are more of my alley but to my surprise, I end up talking to non-tech booths the most! 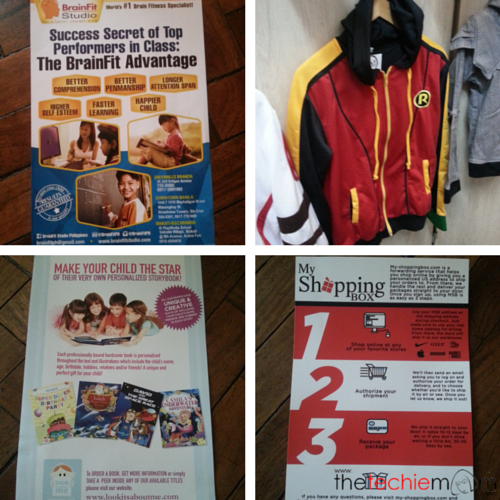 I especially loved talking to Marilen Teo of Brainfit Studio Philippines, she was really engaged and willing to talk to people who’s really interested in their products and services. I definitely want to bring my 10-year-old son to one of their CognitiveMap assessment to further enhance his giftedness and help him in his problematic area (auditory). One brand that was also interesting and cool is Look It’s About Me, they can make a personalized story book for your child, with their name on the story itself, isn’t that amazing? My 3-year-old daughter would love that, now to ask them if they have a warrior princess story in their list haha. Sharing their booth is Eat Out Manila, an online booking/reservations portal for different restaurants here in Manila, you can register and sign up with them and you can book a table for your favorite restaurants, no need to call or walk in and have to wait for a table. I’ve talked to Lorenzo, chief of staff of My Shopping Box, an online mail and package forwarding service and he mentioned that it will be so easy for online shoppers to actually buy and ship items from the US (and from all over the world) if they were to use their services, because you can ask the supplier to ship it to their US address for convenience! I am also looking forward to hearing more from Acer Smartphones. Although Acer is already an established brand in the world of computers and laptops, they are a new player in the smart phone industry. I was happy to learn from one of their representatives that their smart phones are based on Taiwan technology so I’m pretty optimistic about this line as well. I also finally got my hand on a Zap card, since hubby and I love to eat out, this will be especially useful for us. You can get 5%-20% cash back points from your favorite establishments in the metro when you use Zap! 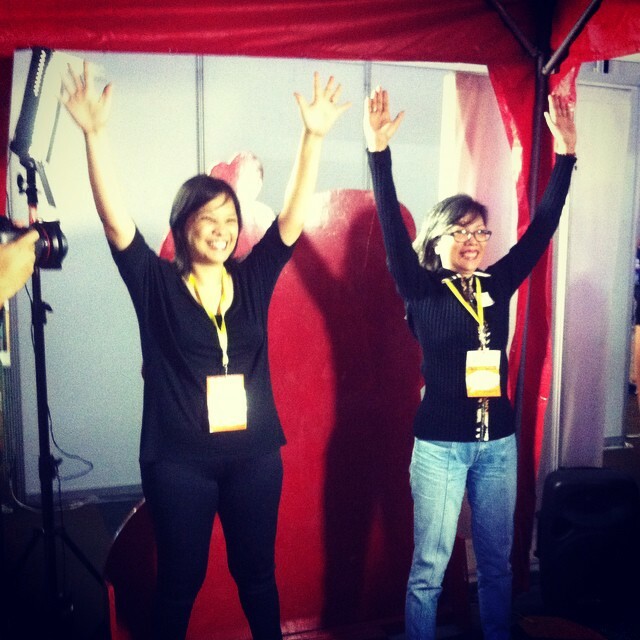 Chooks to Go booth, I think wins, hands down for the most “shrieking” bloggers. Their gaming booth was a big hit. I didn’t participate as I was having the most aweful backache that day, so I had to skip it, but had a grand time taking pictures for May and Marge as they jumped and ducked and flapped like a chicken and having a most fabulous time (I hope you ladies didn’t have to take any pain killers afterwards, hahaha). Other tech brands such as Canon Cameras (I’m a loyal Canon printer user for a decade now, can’t go wrong with this brand), Fukuda (our 5-year old DVD player is still on good working condition, can’t say the same for the remote since our daughter’s been dropping it at least once a week haha), and Henry’s Camera (my father-in-law’s shop of choice, as long as I can remember) are also there to showcase their products and services. Food sponsors were also there to help us fill our bellies with yummy food. Our lunch was courtesy of Chef’s Noodles, Yellow Cab, House of Lasagna, and Krispy Kreme, we didn’t get the chance to do the DIY doughnut though. I missed the walk tour of Niu by Vikings as well, had to just drool over the pictures of fellow bloggers on IG. Marge and I weren’t able to stay for the duration of the event as she had to go back to Batangas and I knew I had to leave early to brave through travel going back to our place (I was right, stuck for more than 2 hours on the road on the way back home). I heard the raffle prizes were awesome. 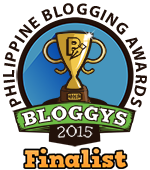 Congratulations again, When In Manila and Our Awesome Planet for a very successful Blogapalooza. Here’s to a bigger and better one next year! Wooohooo!!! I’m so happy I finally met ‘The Techie Mom’. Hahahaha! It was bitin since we didn’t have the chance to chit-chat. Hey Jennyfer! 🙂 So happy we met you last Saturday! Hope you and the hubby enjoy your ZAPtag. You can also download our app at http://www.zap.com.ph/app to help you guys find the best places for your date nights! Hope we meet again soon. Maybe at our upcoming arts and crafts event for kids? Hi Lia! Been wanting to get a zap card for ages, just kept on procrastinating lol. Good thing you guys were in Blogapalooza 🙂 Can’t wait to finally use it. Yes! Hope to meet again soon! Ayiee! may special mention ako! Thanks for the linkback!